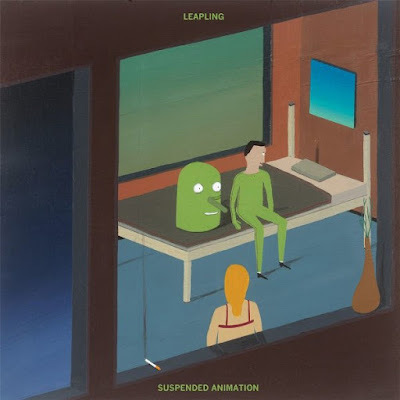 Suspended Animation is a louder record than their debut, though not without its mellower moments, the orchestral touches standing out. However, a lot of the softer qualities are inflated as well as the grinding highs. On closer “Time Keeps Tickin’”, the guitar and cello sweep and swoon like elevated exit music. As a true counterpoint, though, Leapling up the pop feel in a big way on “One Hit Wonder”. The background harmonies and bright guitar evoke bands of decades past that fell into the pit of the song’s title. The smattering of keyboard here, as well as across the album, adds another interesting color to their palette.